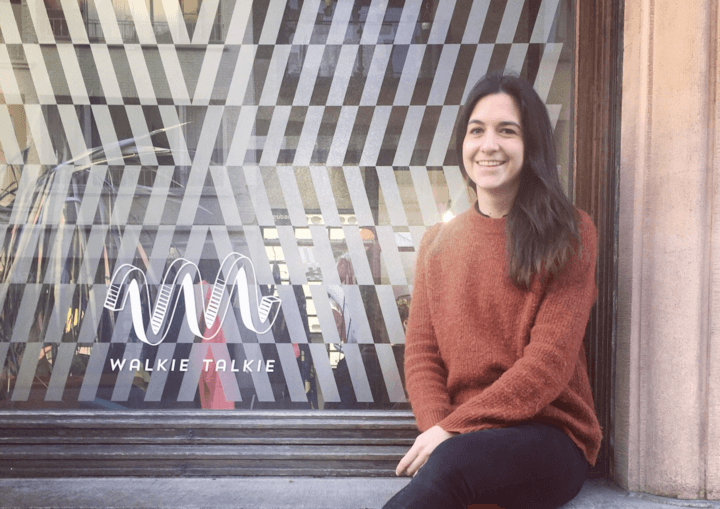 Walkie Talkie - Welcome Deborah! In 2012 I graduated as Manager Interactive Communication at Thomas More Mechelen. During this postgraduate I got the chance to follow an exciting internship at Boondoggle Leuven. After this training I ended up at Seamonster in Ghent, a TV production house where I mainly worked for vtmKzoom and supported the startup of tagmag.be. During that period, I also worked as a culinary editor for Flair. My twin sister Jasmina and I took care of the weekly section ‘Met de zusjes aan tafel’. My zodiac sign is Gemini. A funny coincidence if you know that I also have a twin sister. And two brothers who are also twins. (Yep, can’t make it up!). I have an obsession with coffee and I drink an excessive amount of it daily. I literally can’t leave home in the morning without my take-away coffee mug. As a true food enthusiast, I am sort of renowned for my cooking skills. Sidenote: I’m still secretly nervous when friends or family come over to have dinner. Despite the fact that I love traveling, I am actually the ultimate stay-at-home kind of woman. I’m a true plant lover. I always try to sneak in new plants into our home without my boyfriend noticing it. I spent far too much money on cushions, candles and deco stuff in general. My ‘sporty good intention’ for this year? Cycling up Mont Ventoux!